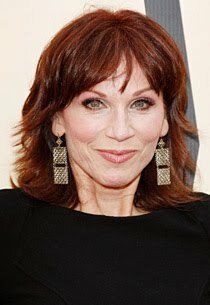 Photo: Marilu Henner, of Taxi televison fame, has an extraordinary ability to recall memories. I've been joking around here on this blog lately about being "super mom," in the sense that my tongue is usually in my cheek when I put those two words together...super and mom I mean. But wouldn't it be nice though if Santa Clause was real and could, if he wanted to, grant hopeful parents some real super powers? This super mom might be skeptical about Santa, but she does believe extraordinary powers/skills do exist among us mortals. There does, after all seem to be proof of this out there. For example, last night an episode about autobiographical memories appeared on the CBS television show 60 Minutes. Those of you familiar with autism spectrum disorder (ASD) might already be be thinking about autism or Asperger Syndrome, because some people (but not all) on the spectrum are known to have extraordinary abilities to recall specific things when asked. However, when it was brought up that some people automatically assume they have ASD, the people featured on the episode all sort of laughed the idea off, though some admitted to having traits of obsessive compulsive disorder(obsessive hand washing and/or organization), a disorder that many people on the spectrum are known to have. It should be noted that the laughter that occurred when the topic of ASD came up wasn't offensive. In fact it was a reminder that one shouldn't assume a person has the disorder just because he or she can recall everything. Same goes for the notion of assuming that everyone on spectrum has this extraordinary ability. Another assumption is that this trait is one to envy. This may or may not be true. I suppose it depends on the person. Five out of the six people featuers seemed to enjoy having a superior memory. However, there seemed to be a downside to having this trait. Only one individual out of of the six was married and she admitted to being on her third marriage. Also, one of the six people featured refused to meet the other five because she finds having this ability to be painful. As for this "super mom" of a boy with autism and kidney problems, I think I would find this ability to be very handy. Although it wouldn't be pleasant to recall every single meltdown, it could be helpful to remember all details surrounding the event such as what my son ate and or what happened before the meltdown occurred. It also would help with keeping track of an extraordinary amount of medical details accumulated over the last twelve years. Last week I was drilled by a neurodevelopmental doctor for nearly an hour and fifteen minutes. As a whole I think I did a good job answering questions about my twelve year old son on the spectrum. Well, I guess I am not going to hold my breath in hopes that Santa will magically give me the ability to recall most details in my past. Instead, I will tell myself that only tiny segment of the population has the gift to remember everything. I'll also tell myself that not everyone has the super skill to be super organized. Though they would be helpful, one doesn't necessarily need these skills to be a good parent. I might not quite believe in Santa, but I do at least, recognize the need to believe in myself as a parent and a wife, and a caring person in general.